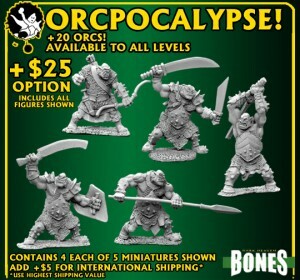 Reaper broke through yet more stretch goal funding levels and is on the way to everyone getting some more Orcs for all their orders. Another Day, Another Stretch Goal! Reaper is now offering paint sets as a reward for pledges, and are showcasing new dwarves and a mob of 20 orcs for pledges.